"SORRY June, we can't treat you; it's too far gone." It was 11 years ago that a doctor uttered those devastating words to Bundaberg woman June Bunt when she was diagnosed with polycythemia vera, a rare and deadly blood cancer. But Mrs Bunt was not giving up that easily and continues to battle the disease every day with the help of her family and medical staff. "It's been a difficult journey, but a positive outlook has helped me cope," she said. "I'm now 74 and I remain active in the community and have no plans to slow down." Mrs Bunt last night joined hundreds of people at Nielson Park to take part in the Leukaemia Foundation's Light the Night walk in support of those with blood cancers. A sea of coloured lanterns lit the foreshore during the walk with participants carrying different colours with different meanings. 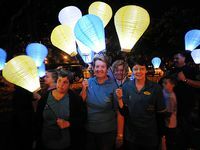 White lanterns were carried by blood cancer patients and survivors, gold lanterns were carried by those remembering a loved one lost and blue lanterns were carried as a symbol of support. Mrs Bunt addressed the walk participants and said she was honoured to speak at the event. She said the support of her husband Ken, two daughters and four grandchildren had played a pivotal role in keeping her strong. "I have daily chemotherapy and monthly blood tests but it is all a small price to pay for the life I am able to lead," Mrs Bunt said. "Over the years, I have raised thousands of dollars in support of the Leukaemia Foundation and other charities close to my heart and I have so much more to give still." Mrs Bunt said there were a few positives to her situation. 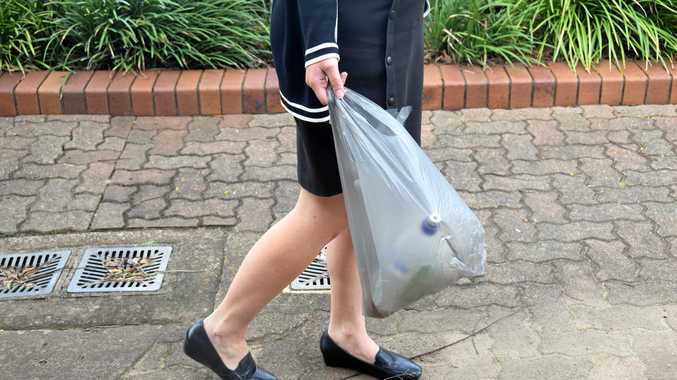 Unit and I still socialise with patients I met years ago," she said. "Life is good." 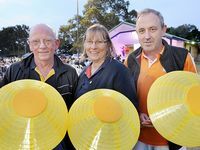 Leukaemia Foundation event manager Cassandra Creed said the number of participants in the Light the Night walk was up on last year. 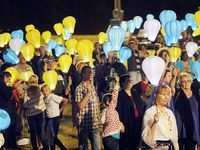 "Light the Night has become very dear to many people across the state as they take the opportunity to gather with others who have faced the difficult journey that comes with a cancer diagnosis," she said. 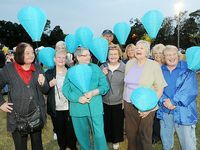 "It will truly mean the world to them to see so many people walking with the beautiful lanterns." The walk aims to raise both funds and awareness and donations can still be made by visiting .